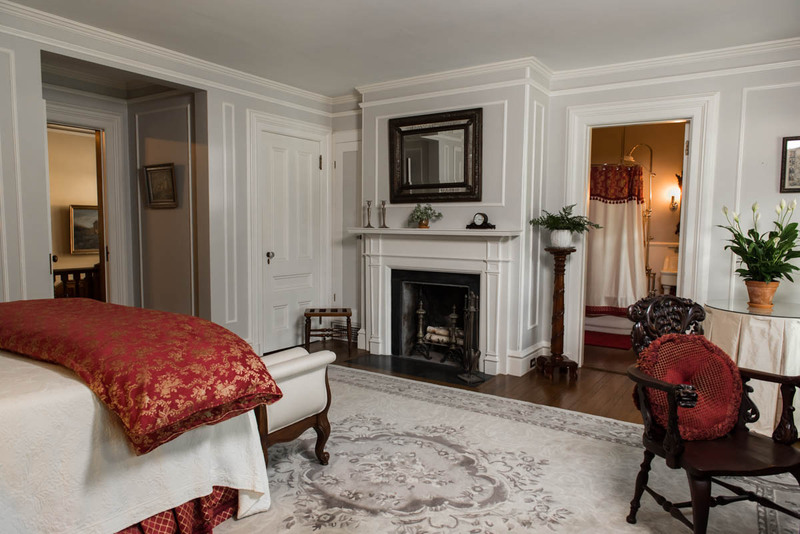 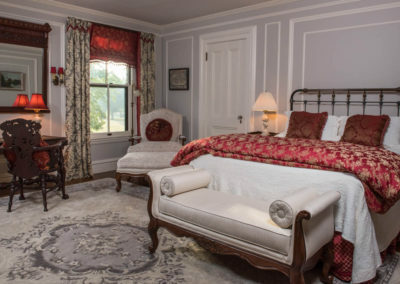 This warmly decorated gray/ivory colored room beckons you to relax and rest in it. 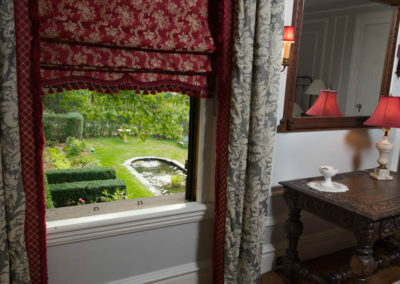 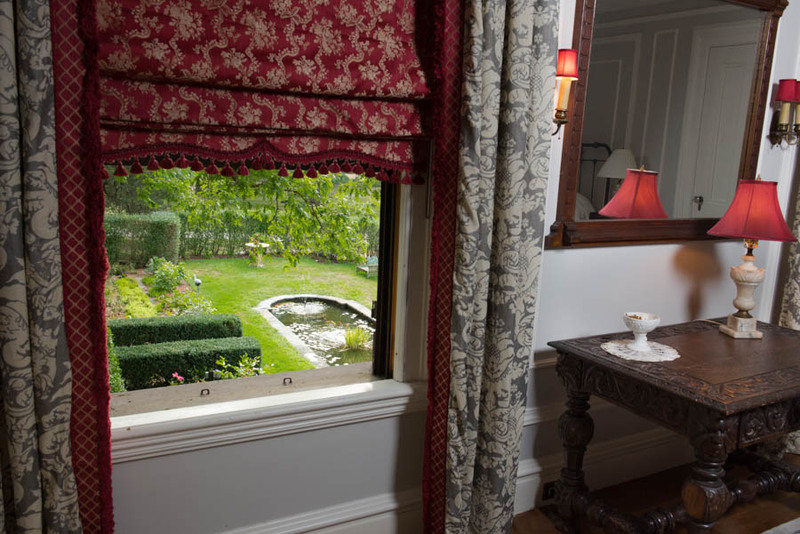 The room has a lovely view overlooking the gardens and koi pond dating back to the early 1900s from the Cheney family. 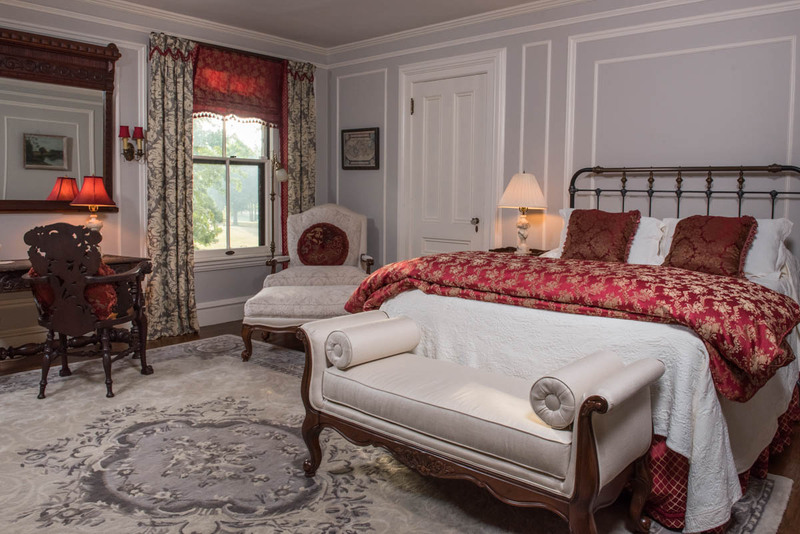 Come and sit in our comfy chair and ottoman by the fireplace in this peaceful room featuring a cozy Queen size rod iron bed. 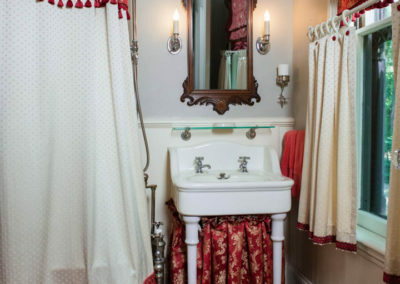 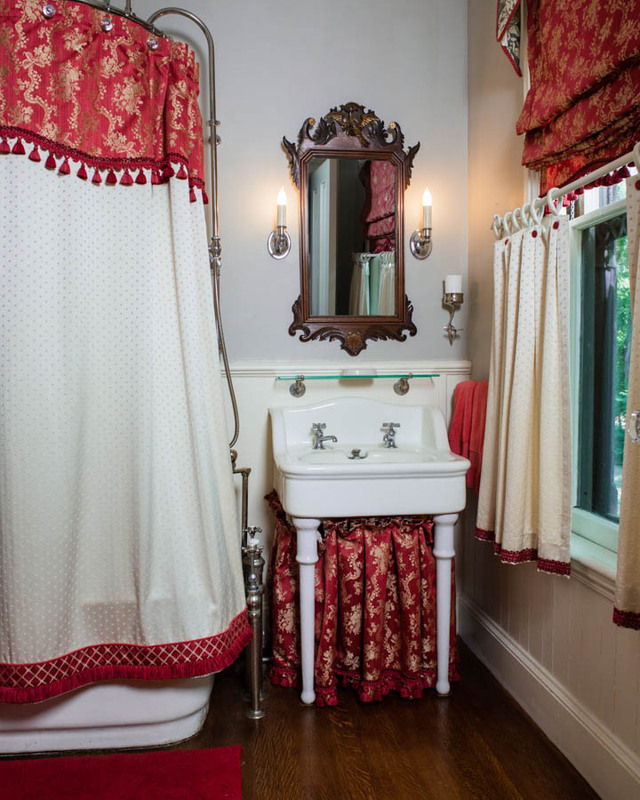 The private bathroom has its original sink, and restored tub/shower.